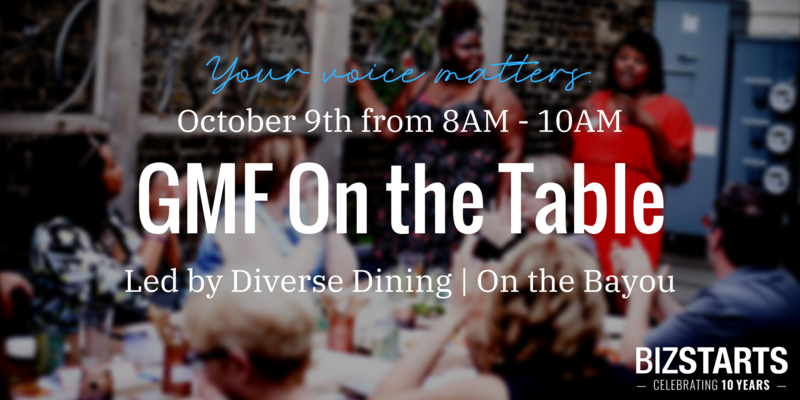 BizStarts is hosting a GMF On the Table discussion lead by Emerald Mills, founder of Diverse Dining. The topic for the event will be vulnerability and having the courage to share your story. On the Table MKE was introduced by the Greater Milwaukee Foundation in 2017 as a forum for building relationships, generating ideas through respectful dialogue and putting those ideas in motion for the benefit of the community. Attending the event is free, breakfast will be $10 which can be paid cash or card at On the Bayou.